The following document was obtained from the website of the Stadium Managers Association. Products from the Department of Homeland Security, Office of Cyber and Infrastructure Analysis are not marked with any distribution restrictions, though they are not released publicly. 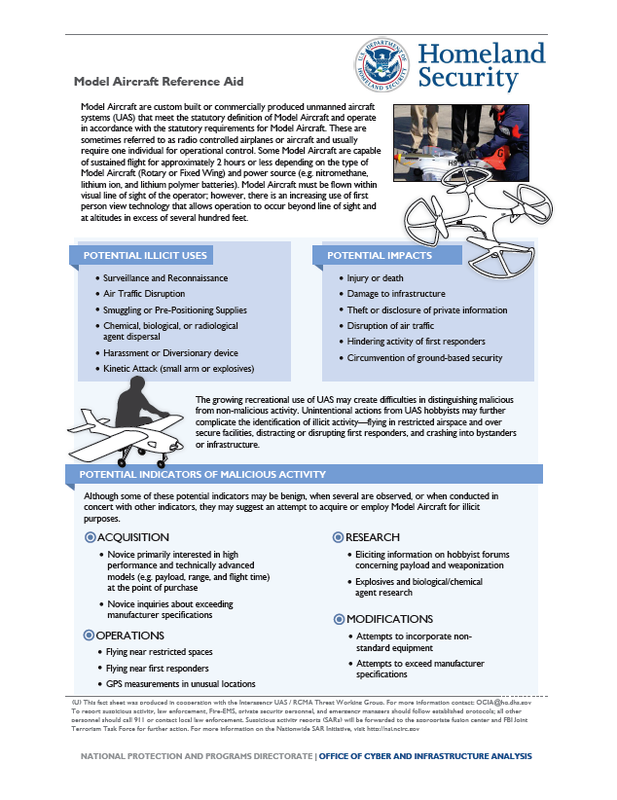 Although some of these potential indicators may be benign, when several are observed, or when conducted in concert with other indicators, they may suggest an attempt to acquire or employ Model Aircraft for illicit purposes.